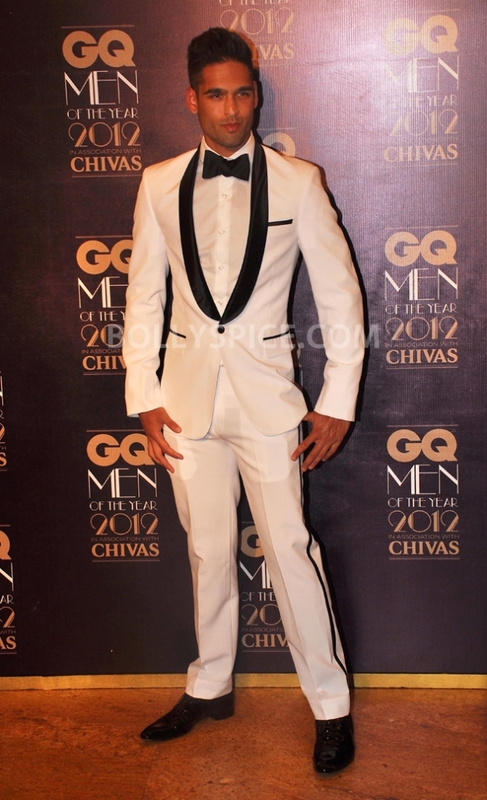 Who’s Hot Who’s Not: GQ Awards 2012 – The Men! A host of Bollywood stars attended the event with Amitabh Bachchan, Anil Kapoor, Deepika Padukone and Vidya Balan gracing the red carpet whilst John Abraham took away the GQ award for the most stylish man of the year. A full list of winners can be seen below. Meera: John Abraham looks dapper in his black suit. Girlfriend Priya Runchal opted for a simple yet effective Victoria Beckham gown and a small Chanel clutch. Priya proves that sometimes simple is effective! Verdict – John Abraham and Priya Runchal are HOT! Ayushmann Khurrana looks dapper in his black suit and bow tie. I do like his leather esque trousers which he carries off nicely and adds a twist to the otherwise simple black suit. Verdict – Ayushmann Khurrana is HOT! I am not a fan of this suit on Sidhartha Mallya, sometimes the all white suit look works but not in this case. I think Sidhartha would have benefited from going for a monochrome look and wearing black trousers. Verdict – Sidhartha Mallya is Not Hot! Anil Kapoor looks dapper in his Dolce and Gabbana suit and bow tie! Verdict – Anil Kapoor is HOT! Amitabh Bachchan ji looks great in this all black suit as usual! Verdict – Amitabh Bachchan ji looks HOT! Shahid Kapoor opted for a black suit and added a laid back vibe to it by leaving his top shirt button undone and leaving the tie at home, he works it well. The only thing I don’t like is the brown shoes, I know Shahid was trying to be different but they don’t really work! Verdict – Ignore the shoes and Shahid Kapoor is HOT! I admire Neil Nitin Mukesh for stepping out the box and trying something different. Again as I said with Sidhartha Mallya, Neil would have benefited from breaking up this look and opting for some black trousers. Not a fan of the flared pair Neil is wearing which adds a 70s disco vibe to the look which is never a good thing! Verdict – Neil Nitin Mukesh dared to be different but unfortunately did not make the mark and is Not Hot! Dino Moreo is another actor who has decided to opt for a different look. Dino works a simple suit nicely and he would have looked much better if he had left the waistcoat at home. Sometimes simple is more effective! Verdict – Dino Moreo is Not Hot! Ajay Devgn opts for a waistcoat and looks dapper. Not a fan of the moustache. Verdict – Ajay Devgn is HOT! 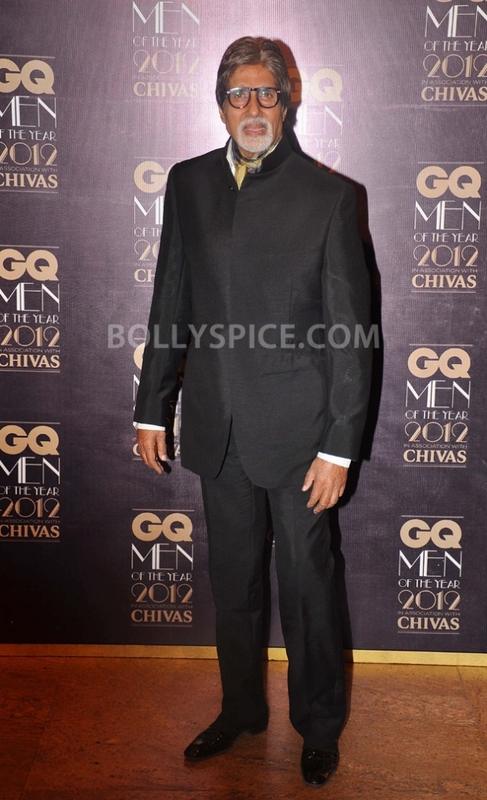 Rahul Bose works his velvet suit nicely and looks good. The white bow tie does get lost with his white shirt but overall the look works! Verdict – Rahul Bose is HOT! Stay tuned for the verdict on all the gorgeous ladies who graced the GQ red carpet!